Friday has rolled around again (so fast!) and that means it's time for us to get our whoop whoop on! My week went by in a rush of multiple projects, none at any interesting stage, but I did do a few things that might be worth sharing. So let's get started! My swap buttons for QuiltCon arrived! 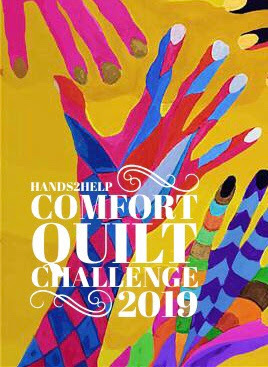 ...and one for this year's comfort quilt tutorial series! And I did get a little bit of sewing done, as attested to by this pile of trimmings - and there were lots more in the trash can! And last, but DEFINITELY not least, I now have a working toilet in my bathroom! Our toilet had worn out (who knew they could do that)?) and the plumber finally replaced it today. Woohoo!! Looks like you made progress in other areas, the finishes will come. I'll give you a Whoop Whoop any day of the week. I think you are pretty amazing! Progress is always appreciated! 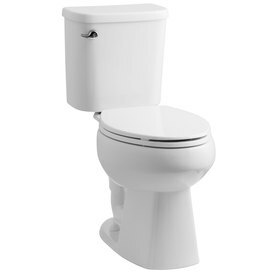 A working toilet is such a wonderful convenience! You know you shouldnt throw fabric trimming in the stool right? lol. Fortunately my dh is a plumber so our pipes always cooperate. Thank you for the linky party. It's that time of year again!!! I love Hands2Help time of year, the best! And the avatar is awesome! you mean, "can" you get a "poop poop?" Your week sounds like most of mine...just a whole lot of little things. Lots of consistent interruptions! But I did get to sew some this week and I even did a blog post so I can do some whooping it up with you :-) Yay! for the Quilt Con buttons! I'm looking forward to your Rockin' Rectangle Quilt Along. Love seeing what you share. Yay for your plumber?? ;-) Love the graphics - and your buttons are so awesome!! Your buttons are awesome as well as your graphics! I was able to finish quilting my black and white project for next week - now to get it bound!! Hi Sarah, I'd say you accomplished quite a bit this week! That working toilet is no small matter! What an eclectic week. I'm glad you got some sewing done. You can save all those scraps of fabric and use them to make dog beds for the local shelter.